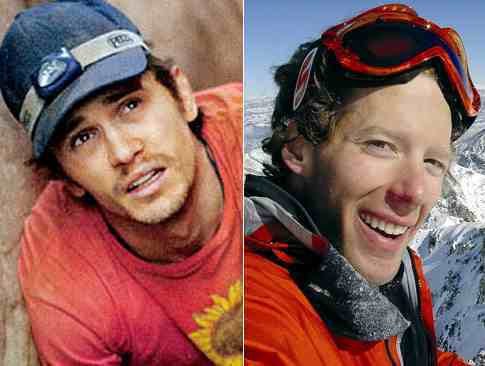 In 2003, Aron Ralston was literally stuck between a rock and a hard place. While hiking in Blue John Canyon in Utah a boulder dislodged, crushing his right arm and pinning him to a canyon wall for more than five days. Ralston’s amazing story of survival finally reached the cinemas seven years later with Slumdog Millionaire director Danny Boyle behind the camera. In the film, you get a sense of what a character Ralston was before the fateful incident. He acts as a guide, flirting with two female hikers and sliding into a pool of water. But then disaster strikes. He’s trapped. Alone. For much of the rest of the film it’s just Ralston – his panic, his fear, his exasperation and finally acceptance of his hopeless situation. James Franco, from the Spiderman films, is excellent as experienced adventurer Ralston who heads out to canyon without telling anyone where he’s going. Boyle, as always, is on top form with the sense of dread and claustrophobia from being trapped translated well on screen. And credit must go to Boyle for making a film work with just one leading role, filling the with flashbacks, delirious daydreams and even Ralston’s premonition that he would become a father – one that came true in February 2010. In case you don’t already know, Ralston eventually escaped after 127 Hours (which gives the film its name) by amputating his arm with a blunt penknife. This scene isn’t for the faint-hearted but if you can stomach it, this is a inspirational story of a man’s fight to survive against the odds.